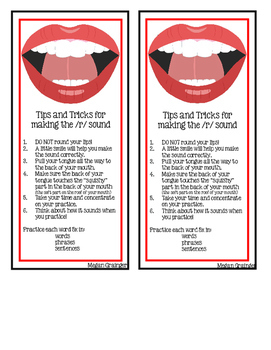 Articulation bookmarks with tips and strategies for how to practice the speech sounds and a place to make a list of challenging words to take home from speech. 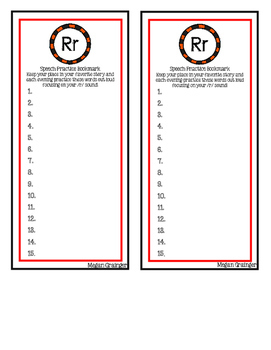 It is recommended to laminate and use dry erase markers on them so they can be used over and over again! 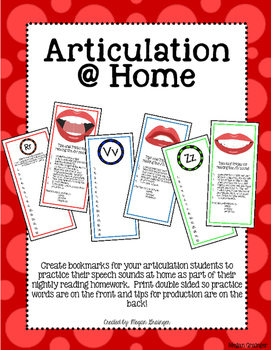 This helps keep the student's place in their favorite book while promoting practice at home during their evening reading practice! Sounds included are: /r/, /s/, /z/, /f/, /v/, /l/, /k/, /g/, "sh", "ch" and "th"